I have nothing clever to say today. I’m tired. Spring is winning. Why is it that weeds grow faster than the stuff we plant? And why do we insist on planting stuff that grows slower than weeds? Why can’t we just love the weeds and sit back on our verandas sipping mint juleps, watching the weeds grow, being philosophical about it all? But then, every now and then something spectacular happens, and I remember why. Last night I watched weather obsessively. We were under a tornado warning. Refreshing the radar loop over and over, I watched as two deep red patches of angry spring thunderstorms passed north and south of us, giving us only rain. I sloshed through my garden this morning, just as the sun rose over the treetops and came on a stand of gorgeous irises. Yes, native plants are virtuous. And yes, weeds have their rights. 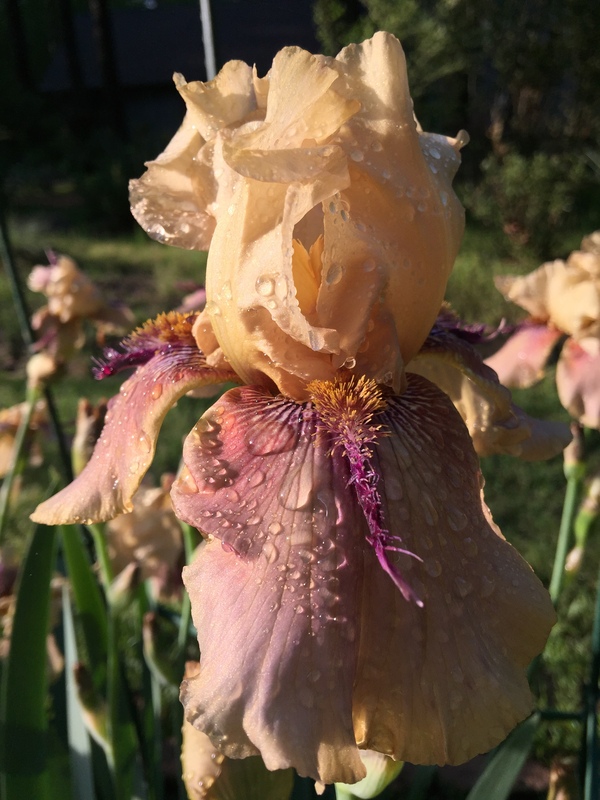 But how can I resist the elegance of a perfect iris blossom still wet with last night’s rain? And then, slogging over to my patio and the disreputable tub, I discovered I was wrong about my frogs’ eggs. [Black Eggs] They had not been eaten, but rather had hatched. 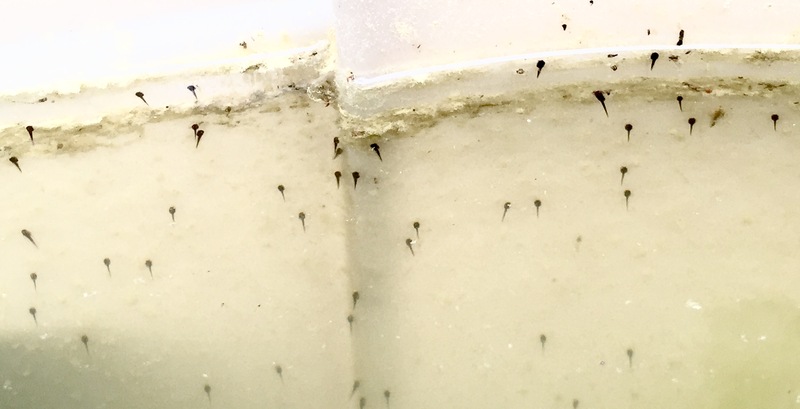 Today my tub of scummy rainwater is thronged with tiny tadpoles–maybe a hundred, but certainly enough to make my heart sing. This is the most spectacular photo of a flower I have ever seen. Beauty Beyond Belief ! Love it. Weeds can be beautiful too when in the shadow of beauty!